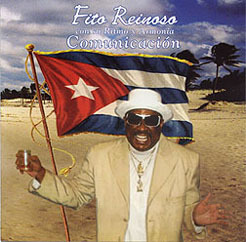 West Coast's "Sonero Mayor" Fito Reinoso will release his new CD "Comunicació n" on Monday, July 2, 2007 at Yoshi's Jazz Club in Oakland (510 Embarcadero West). Featuring danceable cuban music at it's best, this timba record showcases Fito's stellar voice and improvisations. 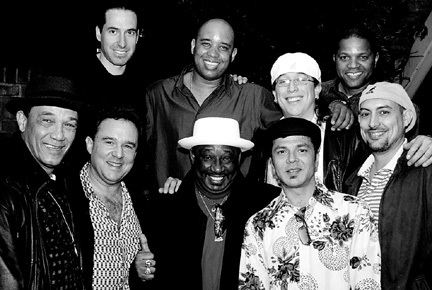 Recorded at Ari Rios' Laughing Tiger Studios in San Rafael, the album features Fito's band 'Ritmo y Armonia' along with some of the finest bay-area all-star players. Always a family affair, Fito's son Julian adds his silky voice to the classic cuban ballad 'Pensamiento'. The album also includes a catchy merengue about viagra 'Si Se Cae Se Levanta' (not that you need the clue), 'Orisan Pagua' a folkloric-laced timba-funk and 'Pueblo Mio', a powerhouse rumba duet with his daughter Genesie. Another special CD release concert will be held at the San Jose Jazz Festival on August 12 (4pm on the Ford Stage). You can always catch 'Fito Reinoso con su Ritmo y Armonia' every first and third Saturday at the Cigar Bar and Grill (850 Montgomery) in San Francsico's North Beach district. 'Comunicació n' will be available for download here on LatinPulseMusic.com on July 2. There is a history of musical innovations being forged on the island of Cuba before finally breaking out into the wider world and making their mark on music at large. Books like those by Rebeca Mauleón have enabled more of us to participate in that process. Now, ten years after Rebeca’s last book, Kevin Moore has produced a unique and outstanding set of works which make the last twenty years of Cuban music accessible to anyone who cares to learn to play it. It remains to be seen whether the rest of the world is now ready for an injection of Cuban timba. Listen to interviews & live performances to find out how your favorite music is made.